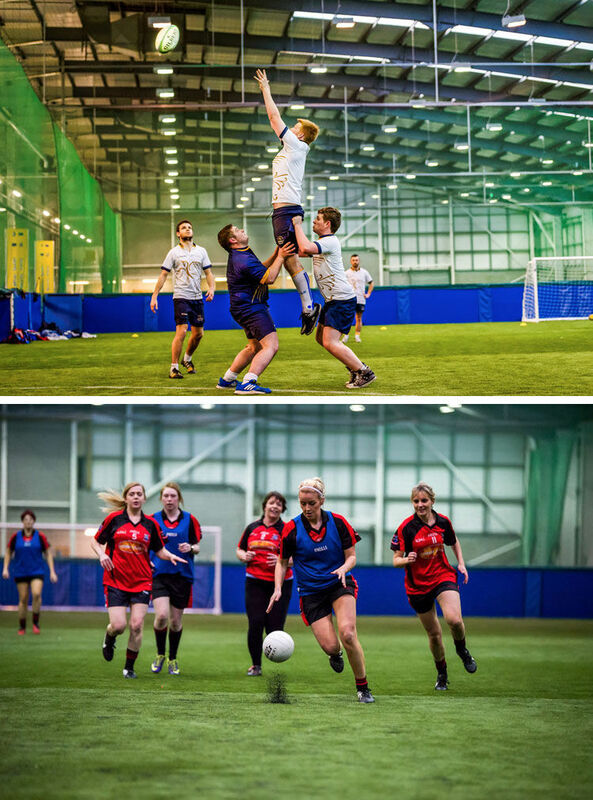 DKIT Sport boasts a number of indoor sports pitches within its Sports Dome, including 6 five-a-side playing pitches and 1 full size training pitch. These indoor pitches are available to players of all levels, local sports teams, clubs as well as the public for recreational use and for children’s parties and sports days. The pitches are available to rent by the hour and include use of our group changing facilities. Whether your team needs an all weather pitch for soccer training, rugby, or GAA, our Sports Dome artificial pitches are ideal for team training. If you’re looking for astro pitches in Louth, our top quality pitches book up early, so be sure to book well in advance. To book our large pitch or one of our 6 five-a-side pitches please click the below ‘Book Now’ button and follow the instructions. We look forward to welcoming you to the DKIT Sport Dome. When you book through the link below a deposit of €60 for the Large Pitch and €30 for the Regular Pitches will be required. The remaining portion of your payment will be taken at reception on the day of your booking.